Don't stay in the ocean with the sharks, stand on the beach where all the pretty girls are. In my first year of coaching atom (ages 9 and 10) in minor hockey, that was how my assistant coach would remind our two goaltenders -- both new to the position -- where to be when facing a shot. His point was don't stay so far back in the net, get out on that white ice in front of the blue goal crease and cut down the angle. For Flames goaltender Karri Ramo, his issue had been spending too much time playing in the sand. As a result, he was getting burned a lot and I'm not talking about a sunburn -- except from maybe the heat of the red light going on behind him. In the early part of this season, Ramo's play was consistent with what we've grown to expect from him during his time in Calgary. He aggressively gets out of his net to challenge shooters, but too often he would venture too far out and get caught out of position for the follow-up chance whether that came via a rebound, a pass across, or even a wraparound as we saw from Mattias Janmark on his goal a couple months back when Dallas visited the Saddledome. "It's something we collaborated on when things weren't going well at the start of the year," said Flames goaltending coach Jordan Sigalet when I spoke with him on the weekend. "You look at his game and you see where he's getting beat and a lot of times, it was on odd-man rushes where he was having a tough time getting across his crease. "We started focusing on his on-ice awareness and when to be aggressive, when to be less aggressive and just trusting his size and athleticism." As someone with an open mind to try new things to improve elements of his game, Ramo was all in. 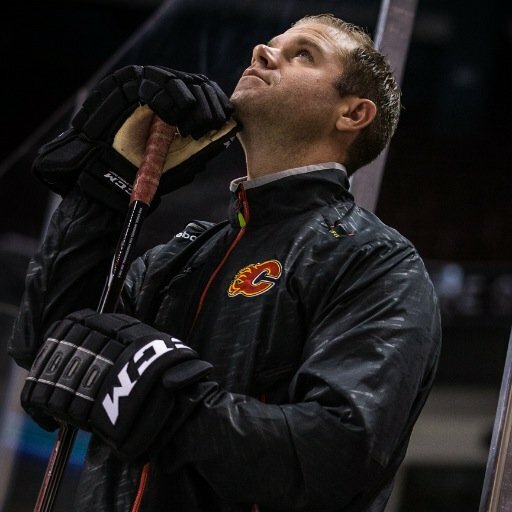 "We always look at the goals that go in to see how I could have given myself a better chance to make the save," said Ramo, who after getting the Flames opening night start, struggled so badly in October he ended up being put on waivers, going unclaimed, and was assigned briefly to Stockton (AHL). The recommendation was for Ramo to stay further back in his net. While he was reluctant to describe it as a "change" to his playing style, he acknowledges he has made an adjustment. "It's a different way to approach rushes and plays into the zone," he explained. "I'm a little bit deeper now than I was, allowing myself to move more easily across the crease and give myself a better chance in those situations." When you're 29 years old and have played the amount of hockey Ramo has in his career, making a tweak like this to your style doesn't happen overnight. It takes a ton of repetition to break those old habits that have become second nature. That's where practice time comes in. "When he first started making the adjustments, he was still thinking about them a little bit too much. It's all muscle memory so we'd work on it a lot in practice," said Sigalet. "Now it's to the point where he doesn't even think about it. In those situations, he knows where he should be in his crease." Ramo says all that practice time and working on the changes over and over is required to get him to the point where he feels good about them because come game time, you're only going to play how you're most comfortable. "The main thing is to feel good in the net because in a game, you can't do too much thinking, you have to do what feels the best," said Ramo. "It's always when we practice that we work on any changes and try to get them to feel good because you won't do it in a game if it doesn't." Proof that the adjustment has worked can be found in the numbers. At the end of November, Ramo's save percentage was .899 and six times he had surrendered at least four goals. Since the start of December, he's posted a .930 save percentage and given up four goals in a game only once. "By being a little deeper in his net now, it allows him to come across his net more controlled, more calm and compact and it's made a big difference in his game, especially in his rebound recovery," said Sigalet. "Even last game, the rebound when Max Domi had that great chance. Because he was a little bit deeper on the original shot, it was a lot easier for him to get across and make that second save." Along the way, video has been a very useful teaching tool. "Video is a second set of eyes and having me there to pull those clips for him and for him to see it with his own eyes after the game, then he can see things and make those adjustments on his own," said Sigalet. Ramo has learned that how you think you've played a certain situation isn't always the case. "You get a feeling in the game when you make a decision on what you're going to do," said Ramo. "But then on video, you see what actually happened and you can see what would have been a better way to do it." While age 29 seems old on a team in which the new No. 1 line consists of three guys age 23 or younger, it is not that old for goaltenders, who typically take a lot longer to develop. Flames fans are certainly well aware of that. When Miikka Kiprusoff turned 30, he had just 83 NHL wins. Six years later when he retired, he had 319. Ramo has 58 NHL wins and could get to between 75 and 80 by the time he turns 30 this summer. "He's 29 and that's the prime of some goalie's careers where they're going to reach their peak and really take off. He's starting to do that now," said Sigalet. "Just playing every game has given him a lot of confidence as well and the combination of the two has been working really good for Karri." Despite his obvious role in it, Sigalet shrugs off any accolades for himself. He says it's the player that deserves the praise. "Karri is a student of the game. I'm there to help him as much as I can. Be an ear, be another set of eyes. You have to give all the credit to him. How he came back, not phased by being put on waivers," said Sigalet. "Goaltending is mostly confidence so just him, knowing he's in there every night and getting in a rhythm and gaining confidence that way. That's the biggest change for Karri and why he's so confident right now." Don't underestimate the impact of being the de facto starter too, which Ramo had never been during his time in Calgary until now. On Monday, he'll start his 12th game in a row and 27th of his last 30. That's as extreme of a difference as you can get from the start of the year when Ramo was one of three goaltenders on the roster, sharing the crease with Jonas Hiller and Joni Ortio. "When you're in and out of the net, and you don't know if you're playing the next game. the times you're out of the net not playing, that's when you start to overthink the game too much," said Sigalet. "When you are playing every night, the thinking's gone out the window. If you let in a bad goal, you know you're going back in the next night. That's big on the confidence as well." Ramo is now up to a .914 save percentage for the season. That ranks the pending unrestricted free agent 27th of the 46 goalies with enough games to be eligible. The only goalies better in the Pacific Division are Anaheim's John Gibson (.926), LA's Jonathan Quick (.925) and Vancouver's Jacob Markstrom (.919). "It's been a good stretch," said Ramo, who is 15-13-1. "Plus overall as a team, we've been getting some wins so it's good. Let's just keep it going." For Ramo, he hasn't changed his overall style, you'll still some acrobatics from him and those highlight reel saves on occasion, but he's picking his spots better now. He'll try to continue his improved play tonight in a big divisional game against the San Jose Sharks. "It should be use your athleticism when needed, don't make easy saves hard," said Sigalet. "By being deeper, he might have to make a few more reactive saves at times but he has that ability so I'm not worried about that. He's got good size and great athletic ability and being deeper is not going to affect him by being beat on the original shot." If he continues this resurgence in the second half, the likelihood of Ramo returning to the Flames next season increases. I wouldn't expect contract extension talk quite yet but as we move towards the end of the season, it's something that has to be considered because at the moment, Calgary has no goalies with NHL experience under contract for 2016-17 with Hiller also a UFA and Ortio and Kevin Poulin both RFAs. Perhaps the best proof of Ramo's turnaround is nobody is talking about the Flames goaltending any more after it seemed like pretty much the only thing anyone was talking about for the first six weeks. I don't miss that conversation either, not one bit, and I'm sure Ramo would agree. 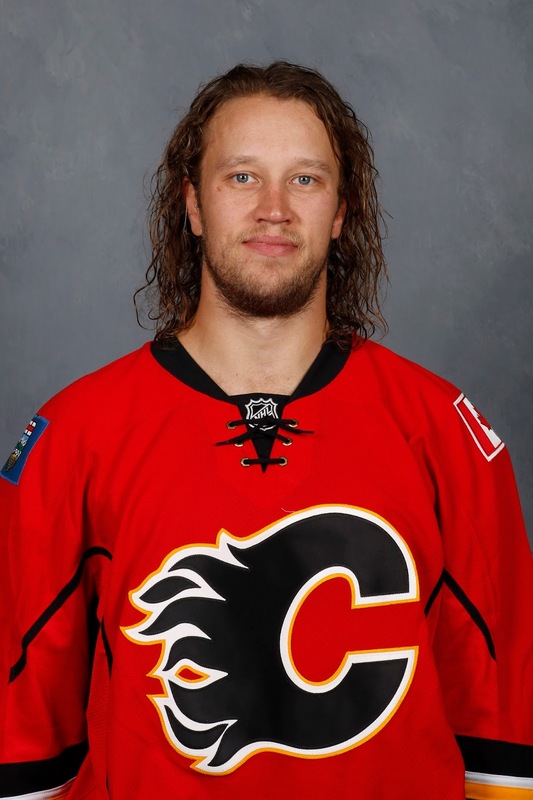 The thing is there are only so many open jobs in the NHL and Ramo's best option might be Calgary. If he continues to play pretty much every game, I think October debacle is behind him. Deeper is better. ....that's what she said . Touché. I thought about that afterwards but figured I'd just leave it and see what happened. It was like a slid a perfect pass into the slot and I was just waiting for someone to one-time such a perfect set up.